From January to April, Wellington is the equestrian destination where world-class venues host elite dressage, hunter, jumping, and polo competitions. During those months, Wellington's equine population swells to approximately 13,000 horses - about one horse for every Wellington resident! So, if each horse produces a minimum of 20 lbs. of poop a week...Whew! You do the math ! Wellington is to the Equestrian world what Wimbeldon is to tennis or St. Andrews is to golf. But why Wellington and how did it all begin ? I asked long-time Wellington resident, renowned equestrian jeweler and former polo player, Jack VanDell and he replied, "The horse people come here because all the other horse people are here." Although his answer didn't immediately answer my question, he did point me in the right directions. Wellington was not initially an equestrian mecca. In 1951 Charles Oliver Wellington, a successful new York accountant and investor, purchased several tracts of land in western central Palm beach County that was basically a swamp. Shortly afterward, the state of Florida passed legislation creating the Acme drainage District; its purpose was to provide drainage and flood control to make the land suitable for agriculture. This dramatically changed the "swamp" to fertile farmland. Many crops were grown, including 2,000 acres of strawberries. The area that is now known as Wellington was once the world's biggest strawberry patch! The tract of land was dubbed "Flying C.O.W. Ranch," after the initials of the Charles Oliver Wellington. Upon the death of Charles, his son, Roger, began working with a company known as ICOF that was granted approval in 1972 to develop 18,200 acres into a residential community. Following the development, IOCF sold its interests to Gould Florida, who's polo-playing chairman, Bill Ylvisaker, laid the groundwork for the creation of Palm Beach Polo and Country Club and provided a place for what would become the Winter Equestrian Festival. Palm beach polo opened in 1979 and soon became known far and wide as a major polo destination. Since then what began as a few polo fields has been transformed into the International Polo Club Palm Beach, now one of the world's most elite polo clubs and home to all 3 legs of American polo's "triple crown." You figure there had to be Germans involved, right? 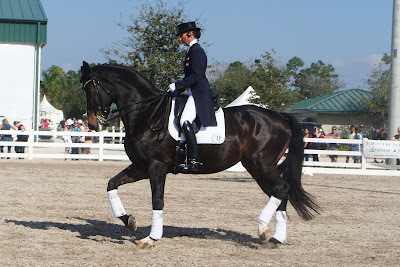 In the early 1970's Gisela and Howald Pferdekaemper relocated from Germany to Loxahatchee, just west of Wellington, bringing their Hanoverian horses and passion for dressage with them. The Pferdekaempfers were instrumental in acquainting the Wellington equestrian community to German-style dressage. 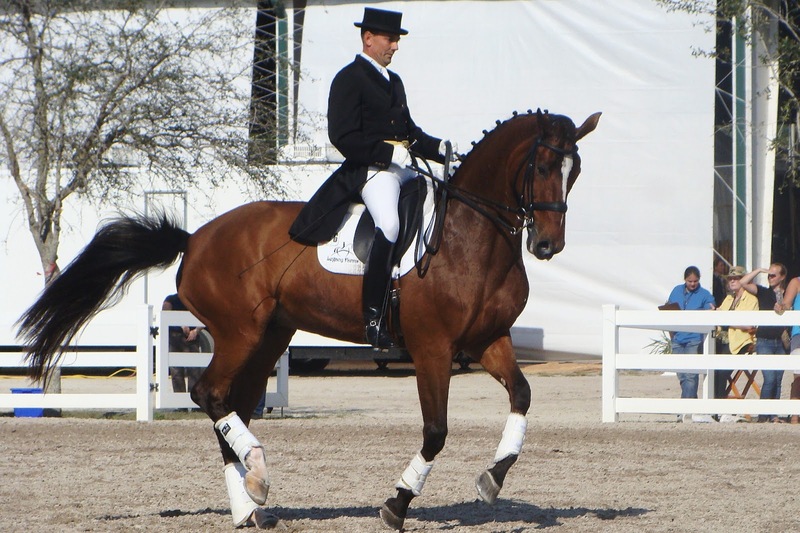 Recruiting European judges and German-born Floridian, Klaus Fraessdorf as show manager and technical delegate, they successfully promoted the first dressage shows in the area, including the Palm Beach Dressage Derby in 1983. 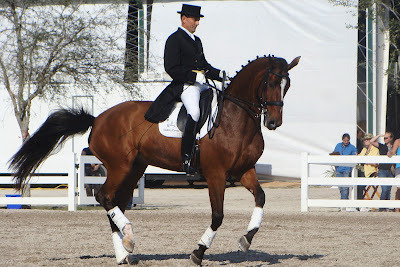 This launched a long career for Klaus who eventually established the "Dressage in Florida Winter Circuit" and the Florida dressage Omnibus known as "The Blue Book". As a result of the popularity of the early shows in White Fences, the "dressage bug" quickly caught on and new groups sprang up, organizing both schooling and recognized shows in the area. In 1999, due to overwhelming participation and need for more space, the Palm Beach Dressage Derby moved to the Horse Park at Equestrian Estates, owned by Walter and Mary Ann McPhail. In 2000 the USEF moved the Olympic Dressage selection trials to the Derby showgrounds after reported incidents of the West Nile virus near Gladstone, New Jersey. In 2009 the showgrounds was renamed International Horse Sport Champions Park by its new management. This Feb 28th to March 3d will be the 30th anniversary of the Palm Beach Dressage Derby and will be held at the International Horse Sport Champions Park , a not-to-be-missed dressage celebration event not only for Wellington but for dressage in America. You can bet I'll be there with my trusty little Sony camera, clicking away at celebrity horses and riders for our LVDA newsletter!